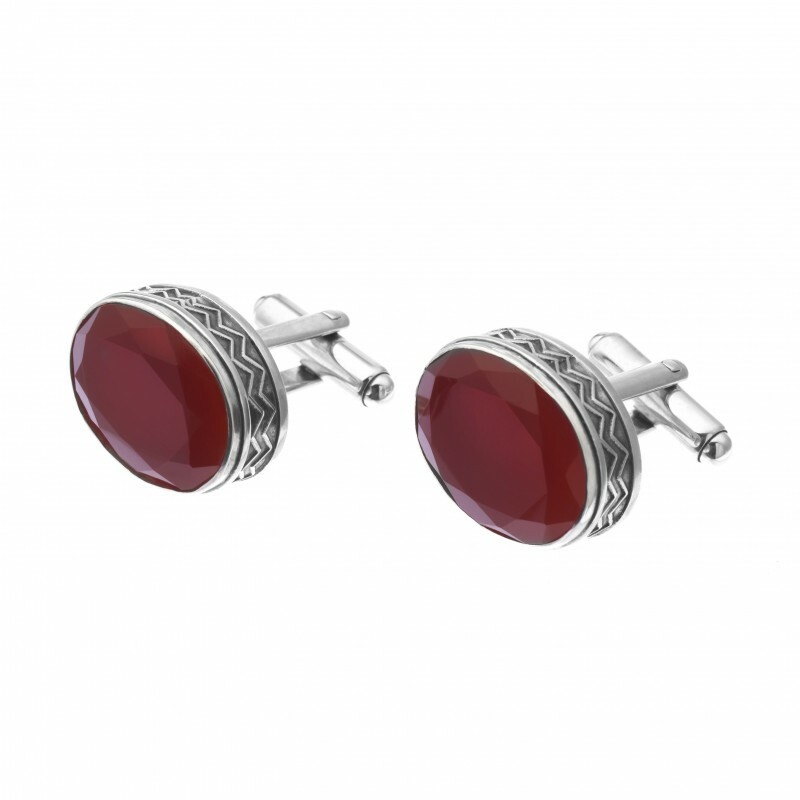 Sterling Silver Oval Cufflinks adorned with Motifs and Brown Onyx Semi-Precious stone. Part of an exquisite and culturally significant range of jewellery for men from Azza Fahmy. This stunningly masculine collection features Azza Fahmy’s famous signature calligraphy motifs with semi-precious details.